This evening I passed by a house with a big and colourful Kolam in front of the main gate. The colors are beautiful! Someone put a lot of time and artistry into the drawing! Ha Ha! 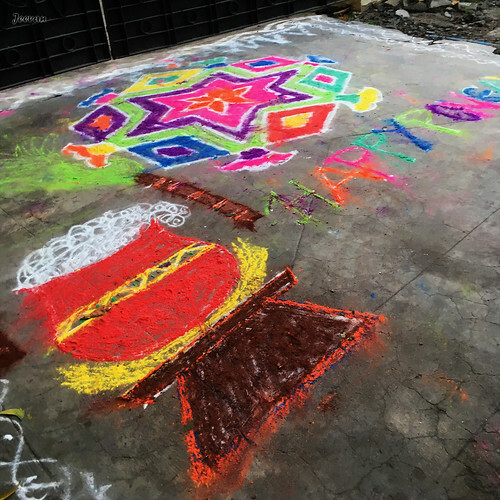 Their kolam is unique but colourful and lively.